Out! 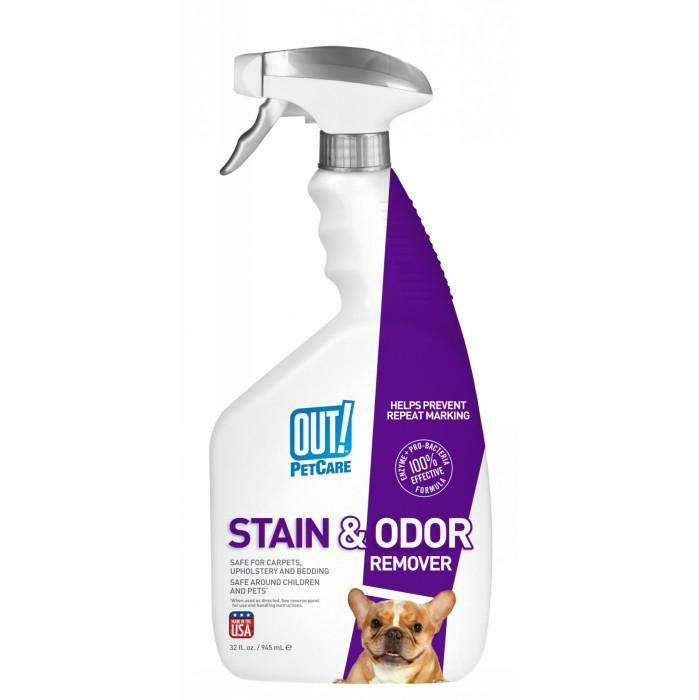 Petcare - STAIN & ODOR REMOVER SPRAY 945ml - 230_CLEANING & ODOUR PRODUCTS, Stain Removers & Odour Eliminators, Out! - Product Detail - Prestige Pet Products Pty. Ltd. Proven and powerful! - Unwanted stains have met their match with this advanced stain and odor remover. Removes stains and odors permanently with a proven natural pro-bacteria and enzyme formula. Removes pheromones that cause pets to revisit and resoil spots. Effective on old and new problem areas. CLEANING & ODOUR PRODUCTS > Stain Removers & Odour Eliminators > Out!